23andMe on Wednesday announced that GlaxoSmithKline has invested $300 million to gain exclusive access to the genetic testing startup’s DNA database. To that end, the deal with 23andMe could accelerate GSK’s drug development work and reports this week say that the company intends to use the data to develop and experimental Parkinson’s drug. A joint GSK-23andMe drug discovery team, in fact, will identify new targets, selected based on the possibility of discovering a medicine, GSK noted today in a news release. The work begins immediately and it enables both companies to bring existing early stage programs within the collaboration. 23andMe already has a portfolio of early-stage therapeutic research programs across a wide range of disease indications. GSK will contribute its LRRK2 inhibitor, which is currently in preclinical development as a potential treatment for Parkinson’s disease. Anne Wojcicki, CEO and cofounder of 23andMe, characterized the investment as "transformative" for her company. “This collaboration will enable us to deliver on what many customers have been asking for — cures or treatments for diseases,” she added. It’s not 23andMe’s first deal with a pharmaceutical company. Back in January 2015, the company signed a deal with Pfizer that allowed the conglomerate access to 23andMe's data platform, which it uses to conduct research on connections between genes and diseases. By 2017, the 23andMe had FDA authorizations for direct-to-consumer genetic tests, and what industry investors called a “world-class research platform powered by engaged customers.” At that time, 23andMe backers noted the company had collected millions of customers and was growing with a promise of providing insights into human health. 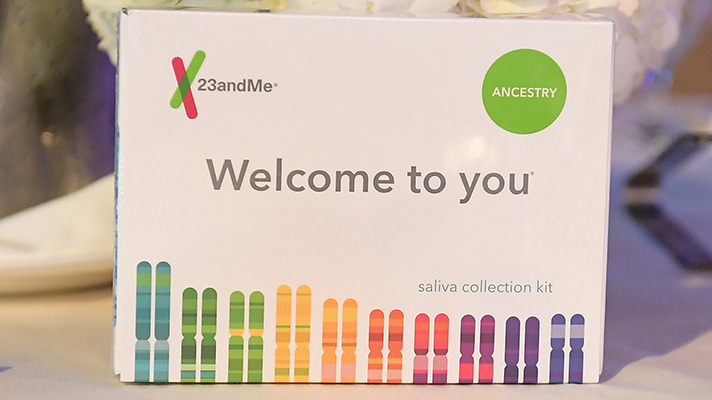 It was then the FDA also boosted 23andMe’s chances to grow when the agency changed an earlier decision that had prevented Wojcicki from marketing 23andMe’s Personal Genome Service Genetic Health Risk tests straight to consumers. Today, the company has the only FDA authorization for direct-to-consumer genetic tests and its customer base numbers more than 5 million people. In order for a customer's data to be used in research they need to consent. However, 80 percent of the customers have agreed to allow their de-identified genetic data to be used for research. The deal between 23andMe and GSK is for four years, with an option to add an additional year.